The virtual appliance contains a clone of Sci-GaIA Open Access Repositories Sci-GaIA OAR, if you’d like to install your own open access repository based on standard technologies, you can simply download this clone and deploy it on your virtualization environment. To deploy your own open access repository, you can download the image from here, the file size is about 10GB. In this way you download the Sci-GaIA Open Access Repository template that can be deployed on your virtualization environment. The image is in QCOW format, but can be easily converted in other format as you need, using qemu utils. 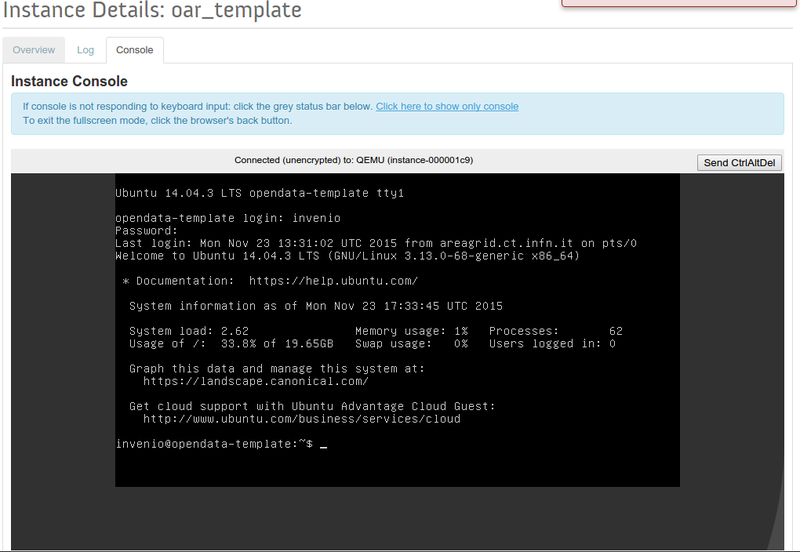 This guide shows you two examples of how to use virtual appliance template in a Openstack based cloud infrastructure and in a local Virtualbox environment. 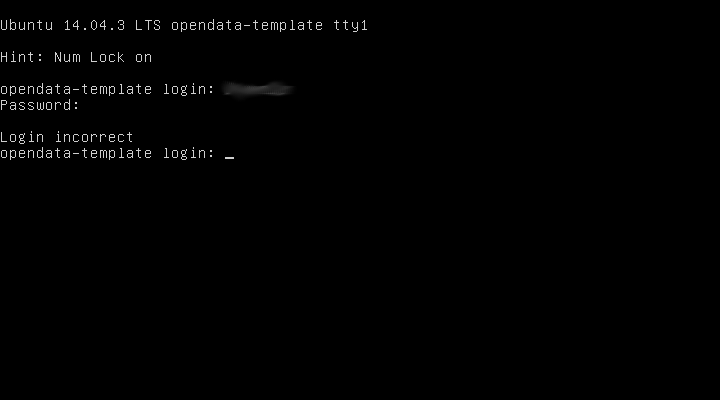 Before you can do the first access to your newly OAR installation, please contact us to get the default OAR template credentials. This template allows login only with keys and don’t permit SSH root login, for security reasons. Once you get default credentials, login into the OAR installation from the virtualization environment console and perform the the following steps. If you don’t do this you will get hacked. 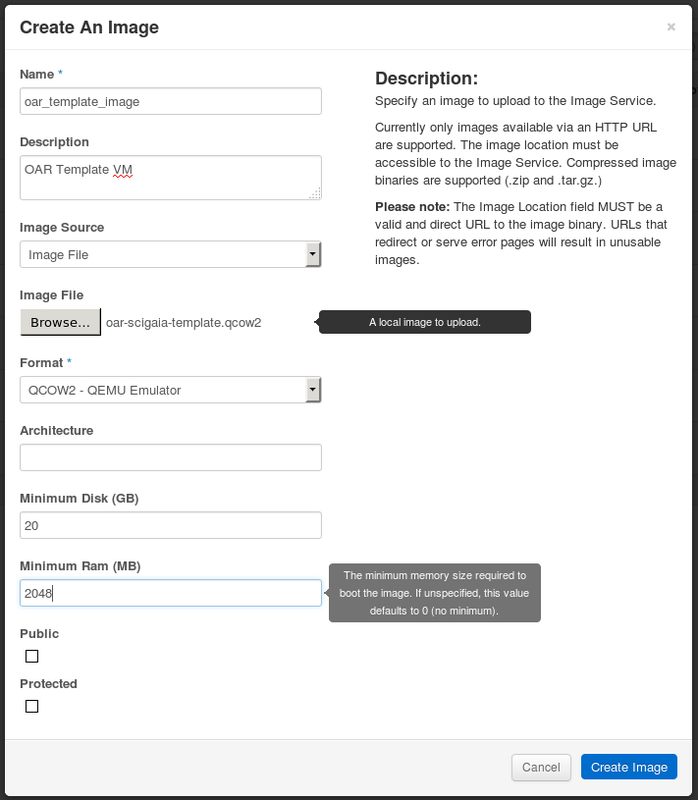 This section shows how to the deploy the OAR image template on an Openstack cloud based infrastructure. The steps below describe the process using the Openstack Dashboard, if you cannot access Openstack Dashboard, you can issue the equivalent Command Line Interface commands. Fill all fields with your desidered values (see Figure 1 as example) and then click Save button. Pay attention to Minimun disk value: the OAR template require at least 20GB. Click Instances link in the left side menu. Fill all fields with your desidered values for all tabs (see Figure 2 as example) and then click Save button. Wait until the new instaces Power State becomes Running. 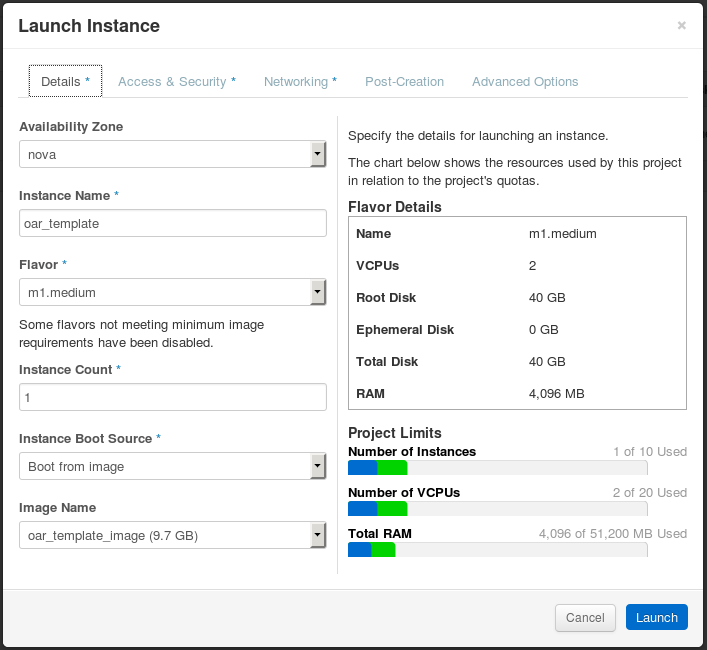 Open the instance console, and follow the First Access steps. This deployment example is provided just for test or demostrative purposes, don’t use for production environment. 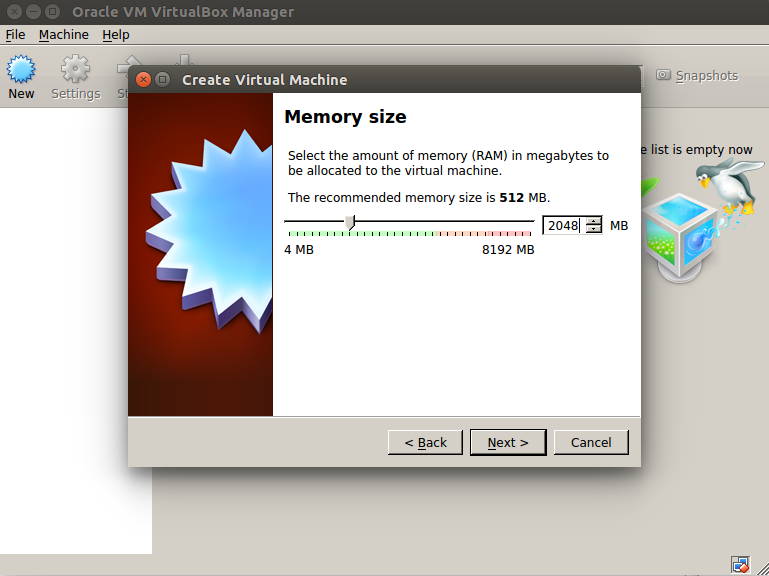 Sometimes you could experiment problems deploying OAR on Virtualbox using the provided QCOW image. In this case you can convert the disk format from qcow2 to vdi using qemu utils, as described in the Troubleshooting section. 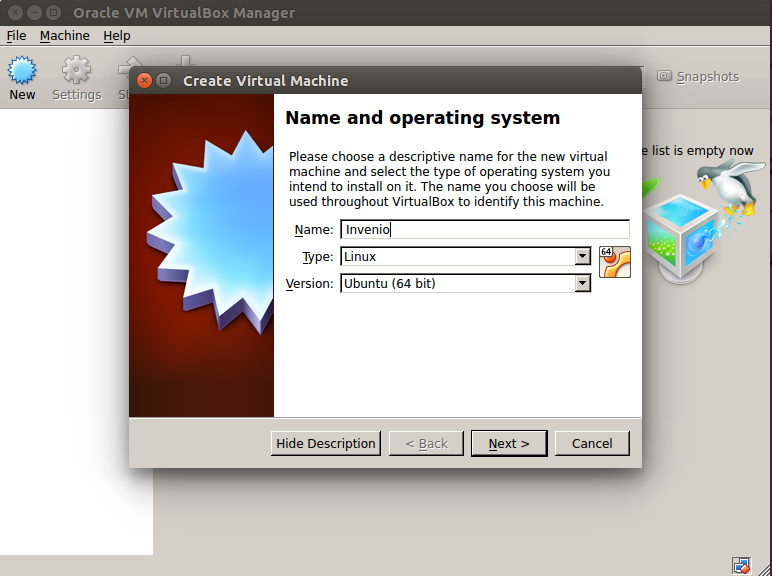 finally start the virtual machine. It may take some time before start, depends on your hardware. Once the virtual machine is up and running provide the default credentials to login into (see Figure 6). In this section there are some possible solutions to the problems you could face during the OAR template deployment. Error Accessing the Virtual Machine. This problem is often related to the keyboard layout loaded, please check the special character typing them temporarly on the username to be sure that you are typing the right password. If you successfully excuted a disk extension, but when you check the size you still see the default size. The filesystem on /dev/sda1 is now 25599744 blocks long. As pointed in the VirtualBox deployment section you couldn’t be able to start the Virtual Machine due to Hard Disk related problems. In this case you tray to convert the downloaded image format from QCOW2 to VDI. Following the steps to convert image format. 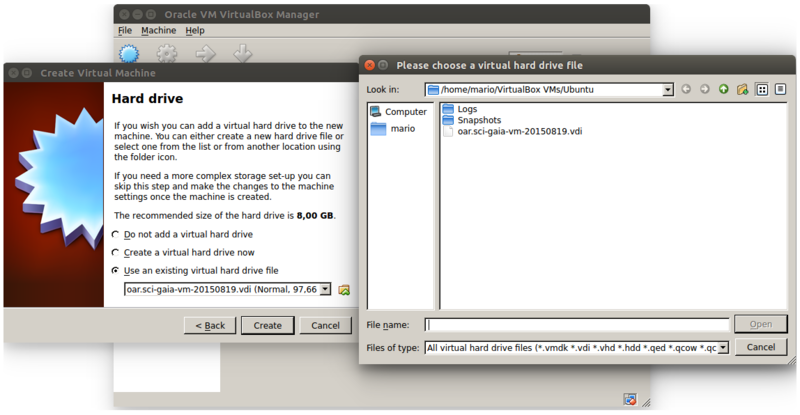 Use the just created vdi image to start the Virtual Machine.